Asset intensive industries like industrial machinery, manufacturing, oil & gas, logistics & transportation, equipment rental, etc. have been continuously facing issues to track return on assets. 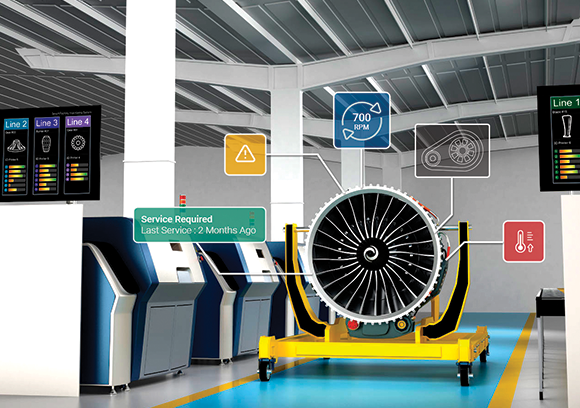 While different types of assets bring different business objectives and different challenges for managing them, IoT-enabled asset monitoring can completely change the game for businesses. Smart asset monitoring brings in a more holistic approach to monitoring and managing assets remotely so that a business does not have to deal with different problems that they are facing currently, such as excessive maintenance costs, sudden machine breakdown, pilferage, high mean time to repair, poor health of assets, under performance and more. In this webinar, our experts will show you how Softweb Smart Asset Monitoring solution can help you transform your processes and improve OEE (Overall Equipment Effectiveness) while remaining more cognizant. We will also conduct a Q&A session at the end of the webinar so that you can interact with our speakers and get answers to all your queries. Who should attend the webinar? The following are the answers to the questions that were asked during the live webinar. Question 1: How complex can be the implementation model if businesses are using legacy machines? Answer 1: During the site assessment we will define the strategy for connecting the legacy machines. For instance, we will define if we need to add external sensors or add connectors to the PLC to connect the legacy machines. Question 2: Is the system compatible with machines from different manufacturers? Answer 2: Yes, we have established an utility which can convert any protocol such as Modbus, CANbus to MQTT. This will ensure that data communication remains seamless even if we use devices from different manufacturers. Question 3: How can remote assets be monitored from a single place? Answer 3: The iPad app gives full liberty to users to remotely monitor and control the assets from anywhere. Question 4: In our organization, we share the same assets between two plants. As a plant head, I need to monitor collaborative KPIs, depending on the processes in which these assets are used. Can this be done? Answer 4:This is a great question; if we understand it correctly, you have assets which are shared among two departments or processes. We have managed one project earlier where we had one asset which was shared between furnaces and CNC, where there were different environments affecting the asset performance. Also our platform supports additional KPI monitoring. So, this can be done using our platform. Question 5: During demo, you’ve said that your platform is based on cloud, how is data transfer and storage secured? Answer 5: This platform is of industrial grade and works on Auth2.0 security standards when it comes to data storage and transfer. Question 6: How is the asset tracker getting GPS inside the location? Do you make asset trackers or is that off the shelf? Answer 6: We use RFID or beacon tracking for indoor location of the assets. We have to strategically place readers in the right spot in the facility. Having said that we need to understand your business use case and surrounding to that we can suggest you a right approach. Question 7: I understand the application and it is comprehensive...I am curious if you are going to talk about the underlying technology for monitoring assets? Answer 7: Thank you for the question. So when you ask for the underlying technology, I am not sure what are you referring to. However, from the monitoring perspective there are two aspects to it - first is connectivity and second is monitoring. 1) Connectivity: For the connectivity, we have established a utility which converts all the standard data communication protocols (e.g. Modbus, CANbus, etc.) to MQTT and thus the data flow remains seamless. 2) Monitoring: We cover all the standard KPIs and update dashboard with the real-time data of your assets. Question 8: What types of tools (databases) do you use to store your IoT data for analysis? Answer 8: Thanks for the question; our asset monitoring solution is built on top of big data environment that is capable of supporting your structured, unstructured, and semi-structured data. Question 9: What is the strategy of asset registry to central system? If I have 100 different assets in my plant how can you on board them quickly to register and manage centrally? And how do we remove them from the network if required? Answer 9: We have defined a very detailed guideline for the device onboarding process. Also, we have been working with some pre-configured hardware (I/O, connectors, etc. ), which helps us with the onboarding process. Additionally, in our platform we have developed over the air firmware update utility that keeps us tuned to the assets irrespective of their location. Question 10: What are the accuracy levels of asset tracking? Answer 10: As mentioned earlier, we use RFID and beacons for indoor tracking. And, in our experience these technologies are by far proven to be really accurate. Question 11: How is LoRaWAN technology used in asset monitoring? Answer 11: Great question, yes it is a very prominent protocol when it comes to remote areas and assets such as Oil & Gas and Mining. Needless to say, LoRa network readers have to be strategically placed between assets’ location and the base station.